NDTV continues to claim that it is being unfairly targeted. 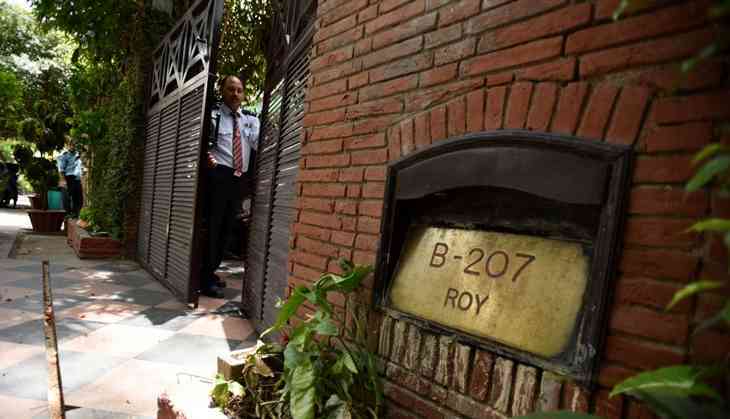 But now, after the CBI, the Enforcement Directorate too may soon register a case under the Prevention of Money Laundering Act against RRPR Ltd, Prannoy Roy and Radhika Roy, the promoters of the media house. NDTV promoters have alleged that the government is behind the action because their media house is “not toeing the line”, and that “trolls” targeting the media house are being “led by the ugly lies” of BJP MP Subramanian Swamy and RSS ideologue S Gurumurthy. “We are examining the FIR registered by the CBI, and we may start investigations in the coming days,” a source in the ED told Catch. The CBI had earlier registered an FIR and raided several places connected to the NDTV promoters, leading to allegations of an attack on press freedom. Another case may lead to more furore, even though the ED is already investigating the media group for other violations under FEMA and PMLA. Reports attributed to government sources claimed that NDTV had been under the arc of investigation since the days of the UPA-2 government, and that it was being investigated for money laundering amounting to a whopping Rs 1,100 crore. Following these reports, the group released a six-point rejoinder. The strong but interestingly-worded response from the media house began with how the group has been a victim of 'subterfuge'. It said the government has targeted the media house through 'unsubstantiated leaks'. “The fact that these leaks, released as an unsigned document, are anonymous, is evidence of the subterfuge involved,” the response stated. The statement claimed that the ED and the Income Tax Department are being manipulated by politicians, even as the group sought to clarify that “it should be noted that the Income Tax Department and the Enforcement Directorate are being used by politicians and that wherever we refer to these institutions, we mean not the officers but politicians who are manipulating these agencies”. According to government officials' claims, NDTV had just two subsidiaries till 2006, but floated as many as 32 paper companies between 2006 and 2012, including 14 shell companies in various countries. They alleged that some of these companies were used to route funds illegally, and most of them were later wound up. NDTV, in its response, rebutted these claims. “This is another lie by the Gang-of-Four-Liars. Many multinationals structure their investments for making investments risk-free through countries which provide tax neutrality,” it stated, justifying the flow of funds from tax havens. NDTV's response claimed it was not the only media house which received investments from Cayman Island-based investors. “The organisation with its registered office in The Cayman Islands is a respected global investor that has invested in several other Indian companies, including other Indian media firms. Will the trolls – led by the ugly lies of Gurumurthy and Subramanian Swamy – want all these companies raided by the CBI?” the media group asked. The clarification also seems to be a response to Gurumurthy's article in the New Indian Express, where he quoted private emails to buttress allegations of money laundering through shell companies. “Is the CBI acting against fraud or against NDTV's freedom? You want freedom to camouflage the money? Freedom to suppress the subsidiaries' balance sheet? Freedom from tax law inquiries? What is the freedom, the freedom that Ambani's paid for?” Gurumurthy wrote in the article. NDTV's response, the third after the CBI raids, named Swamy and Gurumurthy, though it did not answer some of the specific questions raised by the latter in his article. It did not talk about the loan of over Rs 400 crore which was advanced by a Mukesh Ambani linked company to RRPR Ltd, which holds more than 25% stake in NDTV. There are allegations that the government lost the capital gains tax on the transaction, which officials and NDTV's detractors claim was, in fact, a stake sale in NDTV Ltd wrongly classified as a loan.